Routes that serve post-secondary institutions have reduced service levels reflecting the lighter demand for summer enrollment. The seasonal extension of 121 Fort York – Esplanade to Ontario Place and Cherry Beach begins, and the 175 Bluffers’ Park weekend service returns. Many routes have “service reliability” adjustments which, for the most part, consist of giving more running time and/or recovery time to buses with slightly increased headways. Davisville Station paving work will see the 14 Glencairn and 28 Bayview South routes interlined. They will not stop in the station. Also, peak period 97B Yonge service will only serve the southbound stop at Davisville. 11 Bayview and 97 Yonge northbound services will continue to use the station but will change loading spots as the work progresses. Jane Station paving work will displace the 26 Dupont and 55 Warren Park services to Old Mill Station. They will serve Jane Station at on-street stops. 35/935 Jane services will offload in the station, but will load on Jane Street northbound. Constuction work at the Wheel-Trans Lakeshore Garage will close the operators’ parking lot for several months. During this time, service to the garage will remain on 83 Jones, but a new 383 Wheel-Trans Shuttle night bus will operate from Queen and Coxwell west to Leslie and south to Commissioners. The eastbound route will use Eastern Avenue from Leslie to Coxwell. Construction work at Eglinton West Station by Metrolinx will close the station during overnight hours. The 363 Ossington will be cut back to Oakwood and Eglinton and will operate as 363B from 2:12 am which will be the last southbound trip from the station. Service on the Scarborough RT will be improved by extending the peak period service to 11 am in the morning, and to 9 pm in the evening. There is no change in the peak service level of 5’00” headways due to the ongoing reconstruction of the fleet which leaves only 5 trains available for peak service plus 1 spare. Peak period service on 72 Pape will be modified by decoupling the 72B Union Station branch from the 72C Commissioners branch. Rather than attempting to operate the same headway on each service, the two will run independently of each other with improved service on the 72C branch and reduced service on 72B to Union. The last of the old “Rocket” services, 186 Wilson Rocket, will be rebranded as 996 Wilson Express with no change in service levels. The proportion of 501 Queen service between Neville and Humber operated with Flexity low floor cars will continue to increase, especially on weekends. Actual numbers could be higher than those shown in the schedule. In theory, the schedule provides for five ALRVs on the 501 service, but this is subject to availability. Either CLRVs or Flexitys would be substituted. 504 King service will see changes to the schedule during all periods, although this mainly involves adding running and recovery times, as well as some stretched headways. Peak headways stay the same but with longer times through the addition of 3 cars in the AM and 4 cars in the PM. Early evening service sees the greatest change with a move from service every 6’30” on each branch to every 8’00”. If nothing else, this might placate business owners on King Street who complained that service during this period was excessive. Construction at Roncesvalles Carhouse has progressed to the point where much of the 504A Dundas West to Distillery service will now operate from that location rather than from Leslie Barns. The growth of the Flexity fleet, combined with remaining “legacy” CLRVs and ALRVs and construction at Roncesvalles is causing problems for overnight car storage. Service on 304 King will be improved from every half hour to every 15 minutes, and similar changes will occur on other overnight routes in coming months. The reconstruction of old facilities moves to Russell Division in 2020, and so this problem is not going away soon. The TTC is also working on a plan to build a yard for 24 cars at Hillcrest as a base for 512 St. Clair, but this is only in the design stage. On April 16, 2019, Toronto Council by vote of 22-3 endorsed making the King Street transit and pedestrian priority area between Jarvis and Bathurst permanent. This is the first of two articles updating the collections of statistics I have been publishing about King Street since the pilot began in November 2017. This article reviews travel times and line capacity in the pilot area. The second will turn to service reliability both in the pilot area and in the outer parts of the 504 King route. 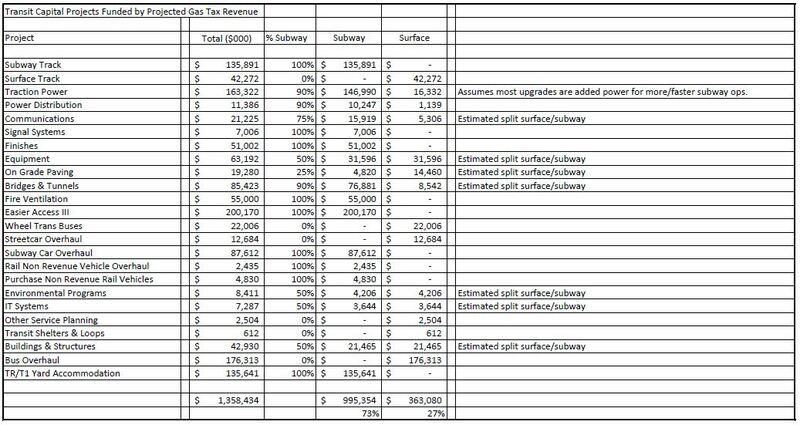 My thanks to the TTC for the raw vehicle tracking data on which these analyses are based. Presentation and interpretation of the data are entirely my own. Service on the 504 was generally more frequent than on the 514. Service on the two branches is generally the same so that, in theory, cars alternate in the central section of the route where service is supposed to be twice as good as on the outer ends. A detailed history of service changes was included in the October 2018 update. The balance of this article includes charts that have been published previously, but with the data extended out to March 31, 2019. The winter season shows expected effects such as a dip in travel times over Christmas Week when traffic is very light, and a peak at January/February corresponding to a major snow storm. The effects vary depending on time of day. To view any chart at a larger size, click on it. Full chart sets are available as pdfs at the end of each section. This is the third and final part of my review of the transit reports that will be before Toronto’s Executive Committee on April 9, 2019, and at Council a week later. In part one, I reviewed the financial issues presented in the reports together with the Scarborough Subway Extension, now known as the Line 2 East Extension (L2EE). In part two, I turned to SmartTrack, the Relief Line and the Bloor-Yonge station expansion project. This article reviews the streetcar/LRT projects as presented in the current set of reports. Much of the LRT network still at some stage of design or construction is a remnant of the Transit City plan announced in 2007. Pieces have have fallen off of that network proposal, notably in Scarborough, but also a few key links that would have knitted the network together allowing sharing of carhouse and maintenance facilities. Confusion about the planning, ownership and funding scheme for parts of the network complicates the situation further. 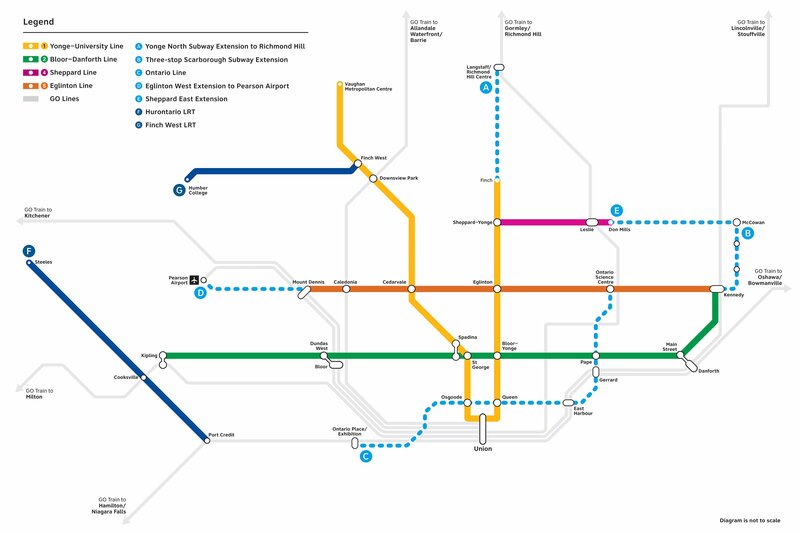 Although the province has announced that it wishes to take over “the subway”, the boundary is unclear because a previous government decided to take over at least part of the Transit City LRT network, notably the Eglinton/Crosstown and Finch West routes. The Ford government prefers to put as much transit underground as possible, but if Toronto wants to extend an existing route (for example on Eglinton East), the city’s preference will be for surface construction to keep cost within its ability to fund projects.